Consumer attitudes about the materials and ingredients in products they buy are rapidly changing, shifting toward products that are ethically or sustainably sourced - and clothing is no different. Recently, the 2013 Textile Sustainability Conference put the focus on the challenges businesses in the textile and apparel industry have in making their products more sustainable in addressing consumer concerns, Green Biz reported. In facing increased product sustainability obstacles, the industry has adopted lifecycle analysis (LCA) to measure the impact of all the materials and processes used for clothing, including raw materials to manufacture products, packaging and transportation of goods. "The industry is addressing fast fashion and moving toward a closed loop where end of use does not mean the end of life," said Tricia Carey, vice chairperson of Textile Exchange. "But the biggest challenge is educating the consumer to decide about their purchases not by price, but by the environmental impact." Analytical tools like LCA allow companies to collect data to prove to consumers sustainable sourcing had a hand in their manufacturing and other processes. But it's also important apparel and textile companies start from the bottom up to make sure they are optimizing the sustainability of their operations. Gathering information from suppliers is a crucial first step in ensuring the sustainability of the materials that make up their products, according to Apparel Magazine. Leaders in this sector, including the Sustainable Apparel Coalition (SAC) and the Outdoor Industry Association (OIA), have recommended firms should concentrate on the sustainable sourcing of lower-tier suppliers in order to reduce the impact the textiles and apparel industry has on the environment. Earlier this year in June, 22 of Britain's largest apparel retailers and other members involved in its apparel and textile industry agreed to record and report their environmental impacts, according to retailer eCouterre. 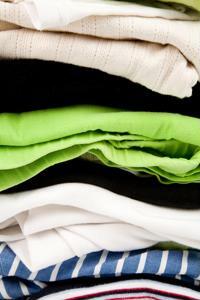 The shops and organizations that have pledged to do their part for the Sustainable Clothing Action Plan 2020 include the Textile Recycling Association and the British Retail Consortium. "We know that overall, clothing contributes around 5 percent of the carbon footprint and between 6 to 8 percent of the water footprint of all the UK's goods and services," said Liz Goodwin, chief executive of Waste and Resources Action Program. "It also accounts for more than 1 million tons of wasted materials, making it the most significant category for consumption impacts after food and drink, housing and transport." The goal is for these organizations, which make up over one-third of clothing sales in the UK combined, is to reduce their environmental footprint by 2020, including their water consumption and carbon emissions.